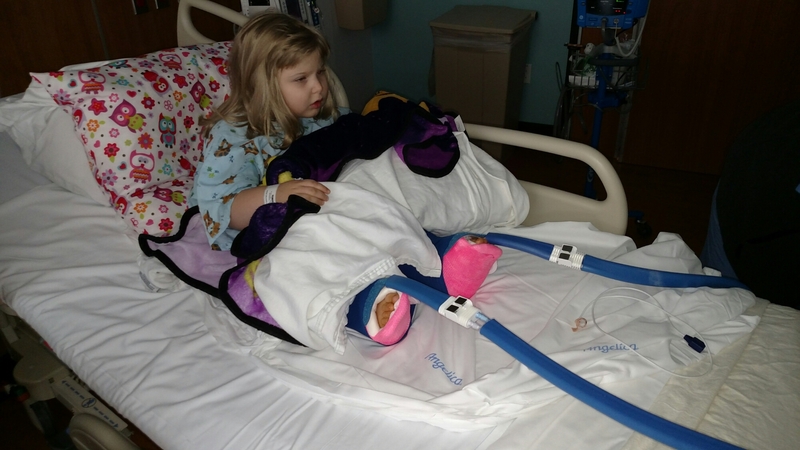 It seemed like an eternity waiting for the surgery and recovery from anesthesia but she is awake and talking about her pink casts. The Super ice girl part has to do with the really cool blue tubes connected to the casts. The tubes are connected to two large electric ice chests that pump cold water to radiator like wraps surrounding each cast. This greatly reduces pain and swelling around the surgery site. Way to go Super Ice Girl!